The Negev desert, shaped like a 4700 square mile inverted triangle in the south of Israel, makes up more than half of the country’s land area. 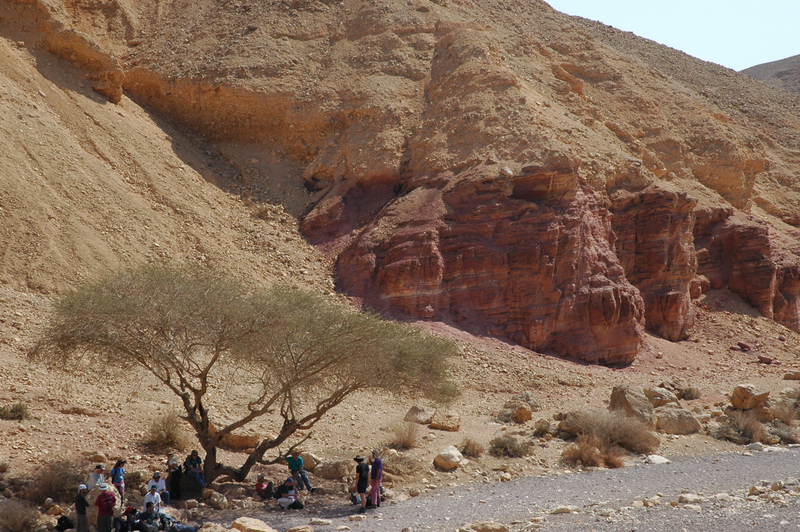 I can arrange to make a visit to the Negev part of your itinerary, you have to experience the desert to understand its importance. Geographically the Negev can be divided into 5 areas: the northern, western and central Negev, the high plateau and the Arava Valley. This article focuses on the high plateau area, Ramat HaNegev (Negev Heights). The plateau stands between 370 metres and 520 metres above sea level and has extreme temperatures in summer and winter and significant differences in temperature between day and night. 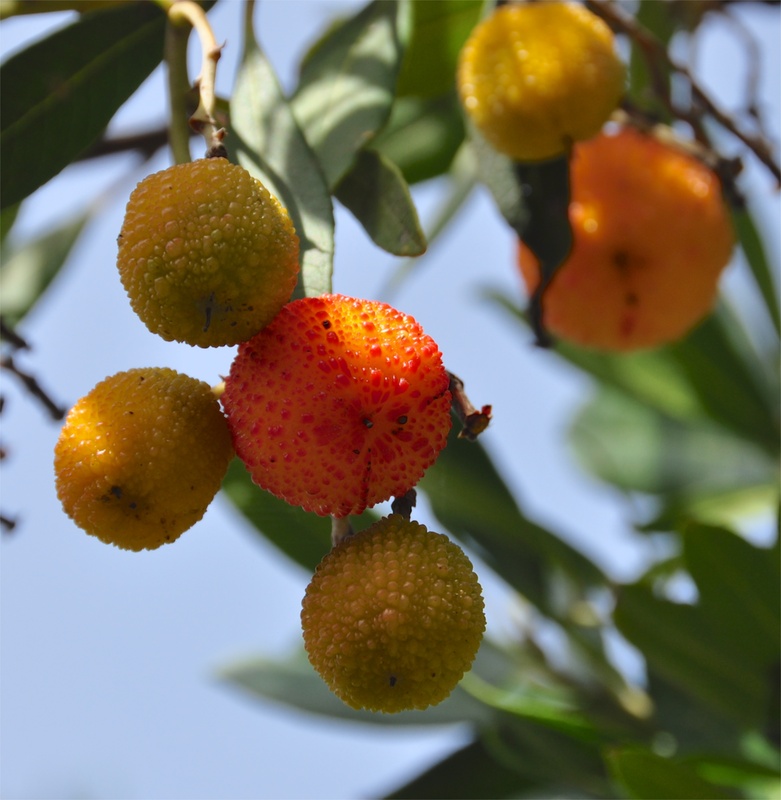 Even though the area gets only 100 mm of rainfall per year and the soil is poor and quite salty, Israel is successfully growing olives, pomegranates, pistachios and grapes for wine. 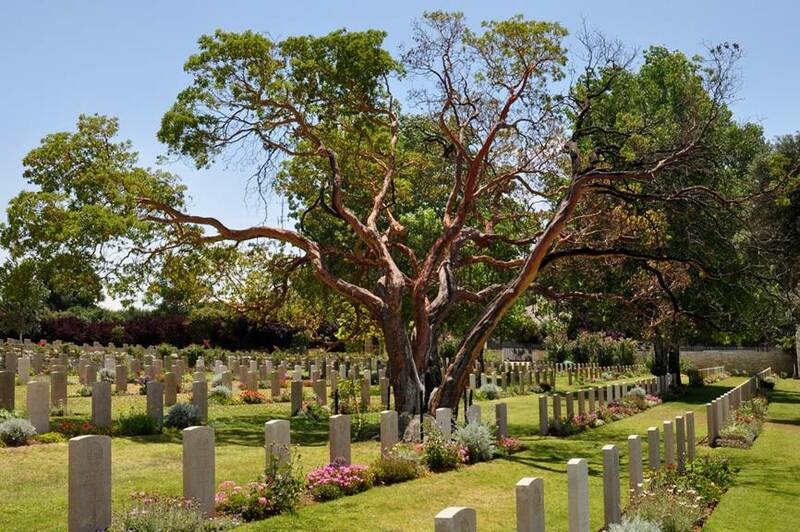 Here are some places to add to your itinerary as you explore Ramat HaNegev. Kibbutz Revivim is growing 5 varieties of olives using brackish water and selling the olives and olive oil in an upmarket boutique dedicated to their products in Tel Aviv. 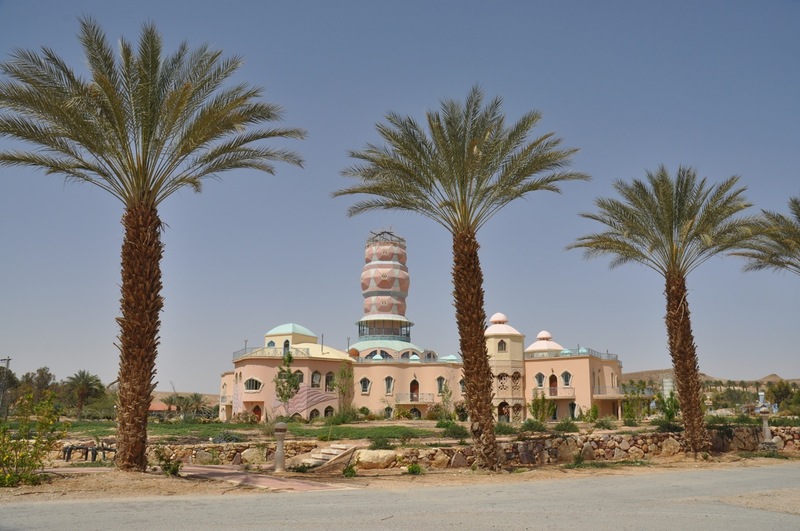 Park Golda includes a lake and picnic tables to eat your lunch or for an unforgettable desert experience, try Beduin hospitality in a black goat’s hair tent followed by a camel ride. The Large Makhtesh is one of 3 craters in the region, a unique formation to the Negev, where the inside of a mountain is eroded by water, leaving the outer shell. Visit the tzrif on Kibbutz Sde Boker to get a glimpse of how Ben-Gurion and Paula lived. The Ben-Gurion Institute, a research facility for the study and the dissemination of his writings, offers visitors a multi-media program about the man and his vision. You can visit a string of family farms along route <40> for wine and cheese tasting and even sleep over in one of their cabins under the desert stars. On farms that are growing grapes and making wine, the vines have been planted on the same 1500 year old terraces that were prepared by the Nabateans and take advantage of runoff from the winter rains. These farms are also a symbol of Israel’s pioneering spirit in the 21st century, composting their waste, recycling their grey water and generating electricity using solar photovoltaic panels. 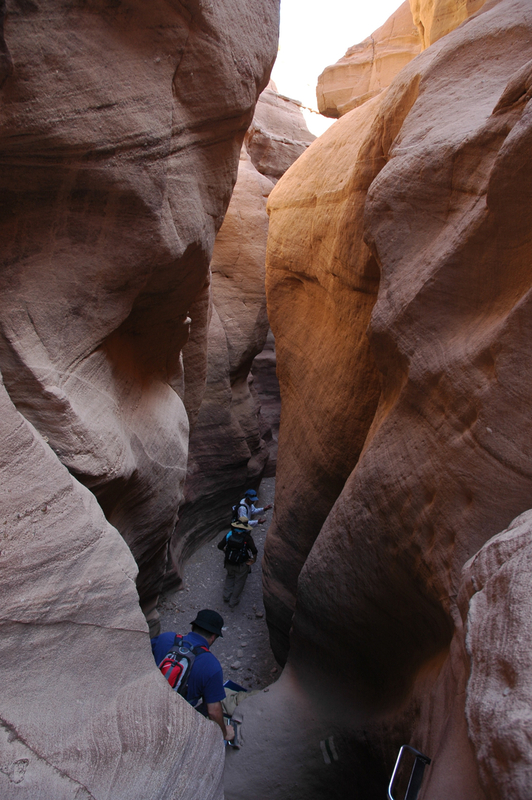 Hike into the canyon at the Ein Avdat National Park with springs, pools and waterfalls, an oasis in the desert or from the Roman bath house (below Avdat) supplied with water drawn from a well tunneled 70 meters through bedrock hike north along the Israel Trail to the Ein Eikev spring that flows year round. Visit the remains of the Nabatean city of Avdat which was probably the regional capital. Located at the crossroads that join Petra in Trans-Jordan to Eilat and to Gaza, Avdat controlled the passage of the caravans from India and Arabia. Conquered in 106 CE by the Roman Emperor Trajan, it lost its importance when a road was built between Eilat and Damascus. Avdat adjusted by adopting agriculture, particularly the production of wine, as its means of subsistence. 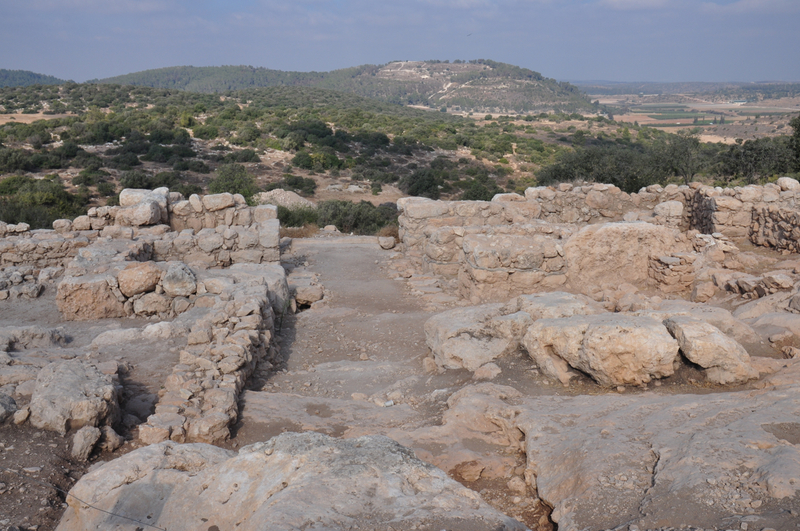 Numerous terraced farms and water channels were built throughout the region in order to collect enough run-off from winter rains to support agriculture in the hyper arid zone of the Negev. At least five wine presses dated to the Byzantine period have been found at the site showing us how important wine-making was in this region. In the Byzantine period (5th and 6th century) a citadel and a monastery with two churches were built on the acropolis of Avdat on the ruins of earlier pagan temples. The town was totally destroyed by a local earthquake in the early seventh century and was never reinhabited. 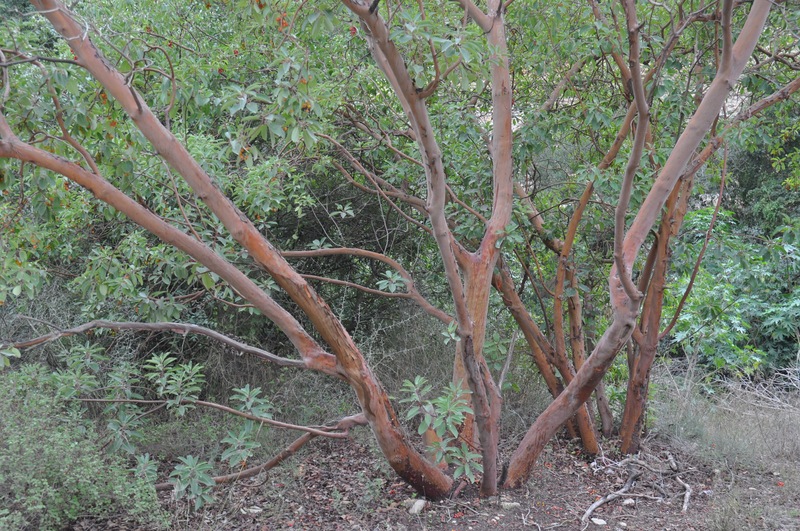 This entry was posted in Archaeology, Hiking, Itinerary, Nature, Tomb, Water, Wine on October 26, 2009 by Shmuel Browns. 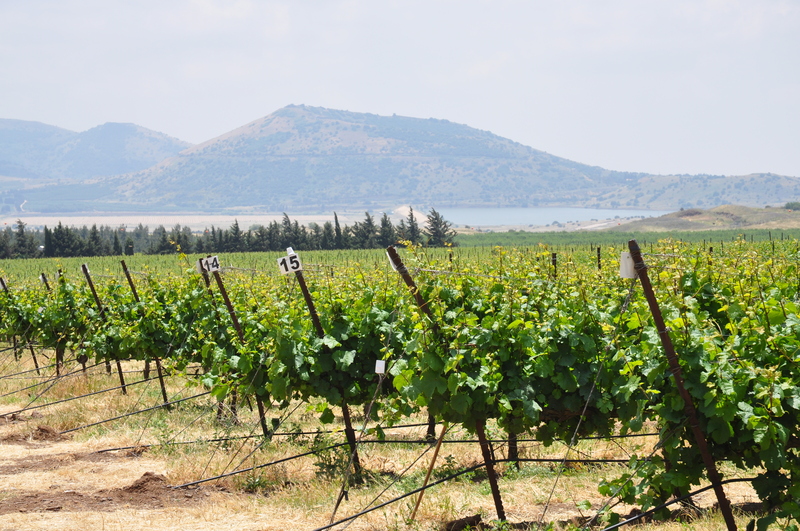 When you are planning to do some touring up in the Golan it is worth including a visit to some of the vineyards that have been planted in the volcanic soil that is unique to this area in Israel and learn about how grapes are grown and harvested. Follow up with a visit to a winery to learn about how wine is made. If you are really into wine I am happy to arrange a wine tour for you. I think it’s fair to say that the Golan Heights winery founded in 1983 in the town of Katzrin, high up on the Golan Heights changed the world’s impression of Israeli wines and placed Israel firmly on the international wine map. Unique to Israel, the winery is owned by 4 kibbutzim and 4 moshavim. They manage 16 vineyards on the Golan (and one in the Upper Galillee), from Geshur and Nov which rise above the Sea of Galilee to Odem and El Rom below the snow-capped Mount Hermon, processing 6,000 tons of grapes and producing 6 million bottles of wine annually at 3 levels: Golan, Gamla and Yarden. They are also the parent of Galil Mountain Winery with Kibbutz Yiron. I can arrange a tour of the facility including a visit to the oak barrel cellar, viewing of the bottling line (when in operation) and of course wine tasting. Tal Pelter established his boutique winery in 2002, after studying enology in Australia, on the grounds of the family farm in Moshav Zofit near Kfar Saba where he produced four vintages of wine. During the summer of 2005 the winery was transferred to Kibbutz Ein Zivan adjacent to Merom Golan and resulted in a production of approximately 24,000 bottles. Pelter produces a sparkling wine in the traditional way, as well as 3 white wines, a Sauvignon Blanc, an unwooded Chardonnay and a Gewurztraminer, a first of this varietal for Pelter, described as “Sweet peach, liche, melon, citrus on a lively acidic background”. He also produces a series of red wines at two levels from Cabernet Sauvignon, Cabernet Franc, Merlot and Shiraz grapes grown on the Golan Heights and the hills of Jerusalem. 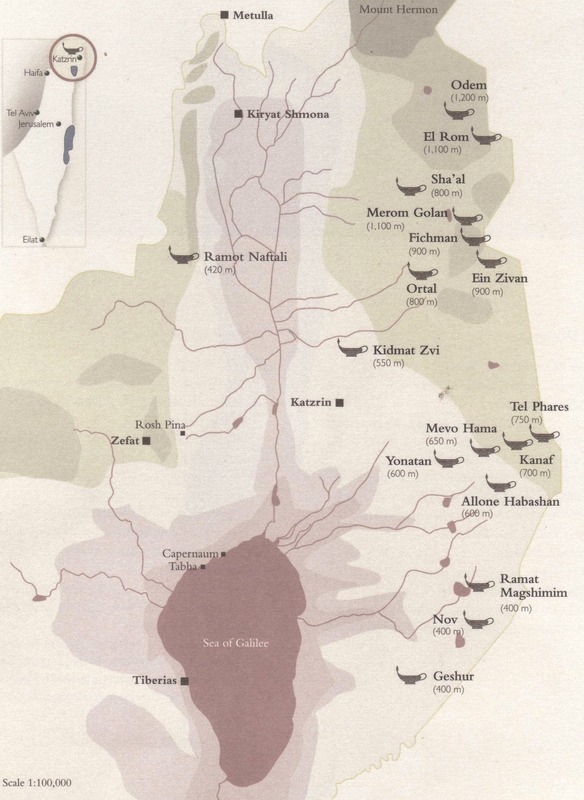 At the end of August 2005, Pelter supervised the planting of a new vineyard on the Golan, that he calls Vineyard of the Wind with a view of Mount Bental and the Hermon, 35 dunams (8.75 acres) of vines. Pelter is pursuing his dream of a quality winery on the Golan. I can arrange a visit to the facility for serious wine afficionados. There are other small wineries on the Golan. In the midst of an ancient oak forest at Odem is the Odem Mountain Winery. 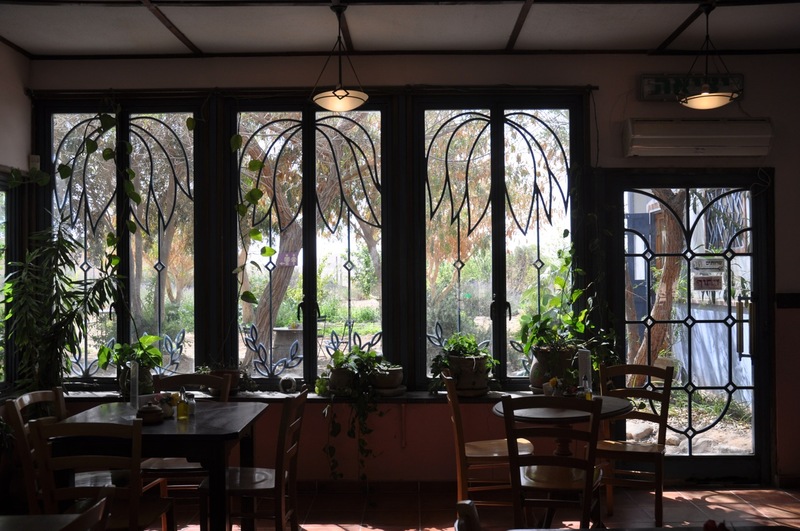 Next to a natural spring is the Bazelet HaGolan winery and not far, the Assaf winery. Farther south you’ll find the Bashan Organic Winery and the Chateau Golan Winery. For a complete and up-to-date overview of the wine industry in Israel, I recommend Rogov’s Guide to Israeli Wines available at bookstores and the Internet. This entry was posted in Wine on July 1, 2009 by Shmuel Browns. I was on the Golan this week near Har Avital. It was delightful – the weather was superb, the wheat was golden, there were still poppies, the grapevines are blossoming. You can feel the broad expanse of the Golan, it lets you breathe. We visited vineyards on the Golan, one growing in a caldera, a large crater caused by the violent explosion of a volcano that collapses into a depression. The caldera creates a different micro climate from the surrounding area. We visited an organic vineyard at Odem and learned about how the growers control aphids and grapevine fan leaf virus using natural methods. We visited vineyards growing around Tel El-Makhfi right beside abandoned Syrian bunkers. The Golan Heights Winery has 16 vineyards on the Golan and 1 in the Galil. We ended the day with wine tasting (Yarden Blanc de Blancs, Gewurztraminer, Chardonnay, a blend of Pinot Noir, Merlot and Syrah and a Heights wine, their version of iced wine for desert) at the Golan Heights Winery in Katzrin. 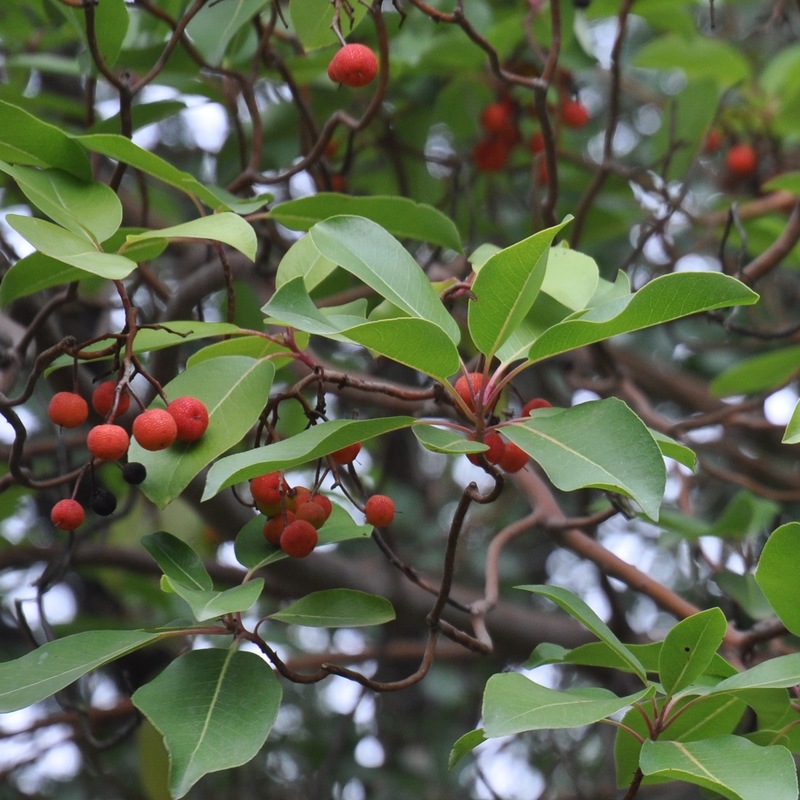 This entry was posted in Nature, Wine on May 27, 2009 by Shmuel Browns. I was up on the Golan this week visiting the Pelter winery at Kibbutz Ein Zivan and learning about the traditional way that Pelter makes his sparkling wine (in France it’s called champagne). The cuvée is a Chardonnay grape grown at Neve Atiq that is picked early so that it is tart, the grapes are pressed and centrifuged to get rid of the skins and pips and then sugar and yeast are added, the concoction is called the tirage and the mixture put in special, thick glass bottles with a cap. These bottles are stored upside down for 3 years in a cool place so that they ferment slowly producing alcohol and carbon dioxide. Since the bottle is sealed, the carbon dioxide cannot escape, producing the sparkle. The yeast eats the sugar for about 6 months and then dies ending the fermentation. The dead yeast cells are removed by a process called riddling where the bottles are rotated everyday until the yeast drops down into the neck of the bottle. The final step is to freeze the neck in an ice bath at -25ºC for 4-5 minutes resulting in a frozen plug. The bottles are then opened and the pressure pops out the plug (with the yeast). The bottles are then adjusted topped off with a dosage, a mixture of sugar, sweet wine, grape juice. Pelter adds champagne from previous years. The final alcohol content is 10.5%. Pelter is able to produce between 1000 and 2000 bottles of sparkling wine. Only 3 wineries in Israel produce sparkling wines and only Pelter and the Golan Heights Winery do it in this tradional way (though Golan is much more automated). This entry was posted in Wine on May 26, 2009 by Shmuel Browns.